The Moon is known for its gravitational pull and how it affects the tides. Police and hospital personnel will tell you that times are a bit crazy during a full moon. Menstruation is called a woman's Moon time. Is it any wonder why it is called this? The average (normal) menstrual cycle is a 28 day cycle. 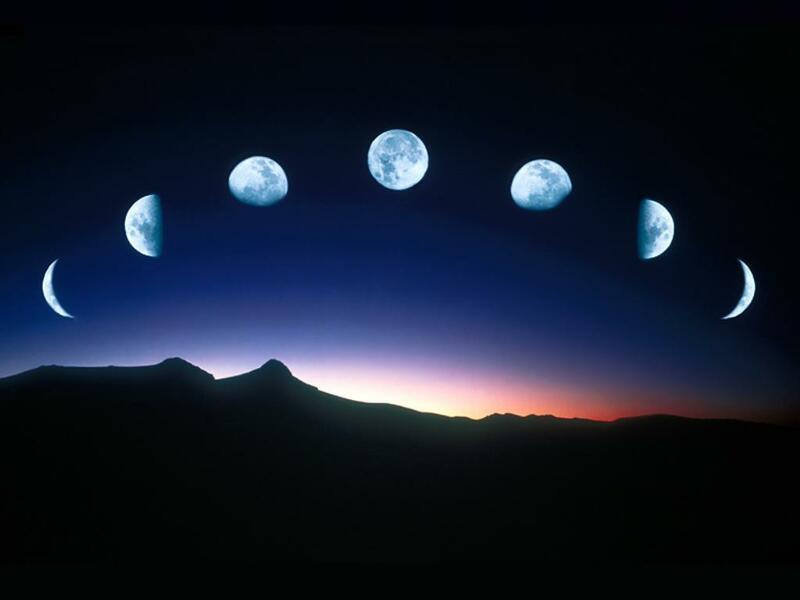 The Moon is also on a 28 day cycle. When a woman is able to sleep under the light of the Moon and without the light pollution of the city, her cycle will synchronize with the Moon phases. Ovulating during a New Moon and menstruating under a Full Moon. For a few it is the opposite. One of the things that led me to start this blog is obviously menopause. 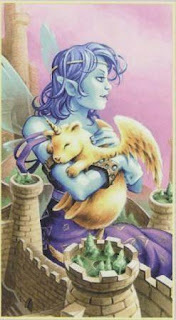 In A bit of me and the Metaphysical, I spoke about my connection to tarot and touched a bit on my astrological details. That was a small introduction of what is to come. Back on July 22 2009 we had a total solar eclipse. The eclipse was in Caner, meaning the both the Sun and Moon aligned in the sign of Cancer. This was also a New Moon, as when ever the Moon is in the same sign as the Sun, it is a New Moon. In the study of Astrology, the Sun represents the self, the ego, ones internal flame and the Moon represents emotions, needs, and is maternal in nature. Again, at the time of the eclipse, the Sun and Moon where in Cancer. This is the opposite, by sign, of 3 stellar bodies in my natal (birth) chart. The Sun, Moon and Mercury are all in Capricorn. However, the exact position of the eclipse was 29 degrees Cancer. My natal Moon is at 25 degrees thus it is within an aspect orb for both transiting (planets on the move) Sun and Moon. This creates a separating energy, a pulling out of sorts. And, I was born under a New Moon. *Interesting note is that on my birthday, this year, there will be a lunar eclipse, which happens during a Full Moon. Why is all this significant to this blog? In my youth, when my Moon time settled in I had a 28 day on the dot cycle. On occasion my cycles would shift, that was due to living with other females, stress, as well as if I was or was not sleeping under the light of the Moon. During the eclipse (not just the day of) and very close to it's apex, I started my Moon time. Form and astrological perspective, it is not much of a surprise. I'm being pulled by an opposition of my natal planets and the Transiting planets during an eclipse as well as the separating aspect. But what IS a surprise is that my Moon-time came 6 days early! If I am ever out of my cycle, it is late and not early! This was not the norm for me. I wondered about this, did the planets play gravitational pull on my uterus? I could also throw into the mix the feminine planet of Venus which is in Scorpio, at 29 degrees. (both Cancer and Scorpio are Water signs). With that, the eclipsing Sun Moon pair creates at Trine aspect that is exact. In some studies of astrology, any planet at 29 degrees is considered fatalistic. So is all this indicating the 'death' of my fertile-mother days? Perhaps this was an actual milestone for me; I am about that age after all. As I pondered this over a few weeks, the topic of menopause was popping up everywhere. This was not a case of drawn to notice it because it's on the brain. People where sending me funny emails, bringing it up in conversation, and such. It came to me, I did not find it. I see the coincidence, the synchronicity, as some confirmation that, yes, this is what you think it is. I have always looked out to see the messages that the Universe has to offer when someone is looking for them. At that time, I had no 'Proof' that it was. I had one early period, big deal. Ah, but now here it is, 4 months later and things are not so on the dot as they had been. I have been between 2 to 4 days early each cycle. I was supposed to start on the 1st of December, a Full Moon. If I count 28 days from the start of my Moon, I should start again on Christmas Eve. Won’t hubby like that, it is his birthday. My Moon could come early, but either way, poor hubby. The first people known to have made chocolate were the ancient peoples of Mexico, the Maya and Aztec. They mixed ground cacao seeds with various seasonings to make a spicy, frothy drink. 2,000 years ago the Spanish conquistadors brought the Cacao seeds back to Spain and new recipes were created. The chocolate drink spread throughout Europe. Today, Chocolate drinks and foods are found all over the world. 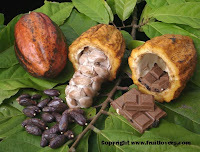 Chocolate come from the Cacao (kah KOW) tree. The pods are collected and cut open. The seeds are removed and put into pile that contain the seeds of hundreds of pods. They are put under banana leaves and ferment for 5 to 7 days. Then they are dried and roasted. This is the first of many processes that these seeds go through before they end up in some beverage or confection. 2 years ago a study was done and it was found that there is a specific metabolic signature in 'chocolate lovers'. This metabolic profile involved low levels of LDL-cholesterol the so-called 'bad' cholesterol and marginally elevated levels of albumin, a beneficial protein. It would seem from this study that chocolate lovers love chocolate because it helps to keep their body chemistry balanced. There is a down side to chocolate. To ingest chocolate on an empty stomach creates a rush form the caffeine and sugar that has a hard crash. One has teased the body with something that does not provide the nourishment the body is needing. The last two of my Moon times and the manner in which I had them has inspired me to start this blog. I do not know for sure if I am truly in the stage of making the change that all women make, but my time is coming soon. Either way, I am getting ready. 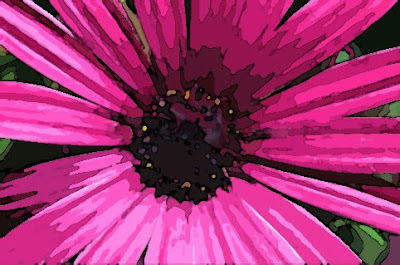 In my blog I will touch on the bits and pieces that inspired this blog and have lead up to this moment. I will also speak in the here and now and I will probably even reminisce to time long ago now and then. I will also relay good information I find along my journey as well as anything else that is of interest and could be helpful.